I love the ease and simplicity of making ceviche, which is essentially raw seafood or fish that gets "cooked" in an acidic marinade such as lime juice, lemon juice, or vinegar. It's something you can "cook" without ever even turning on the stove! The citric acid in lime or lemon juice denatures the proteins in seafood, which make it look as though it's cooked. However, the seafood is not, technically, "cooked." The acidic marinade won't kill bacteria, unlike cooking with heat. So, it might be safer to use seafood or fish that was previously frozen or blast-frozen to minimize the risk of food poisoning. Here is a very easy recipe for making shrimp ceviche. Place the shrimp in a glass or ceramic bowl. Be sure the shrimp are dry. Pour in the lime juice. Make sure that the shrimp are all submerged in the juice. Refrigerate the shrimp for 12 to 15 minutes until they've turned pinkish and are no longer translucent. Any longer than 15 minutes and the shrimp will begin to toughen. In a colander or strainer, strain the shrimp and discard the lime juice. 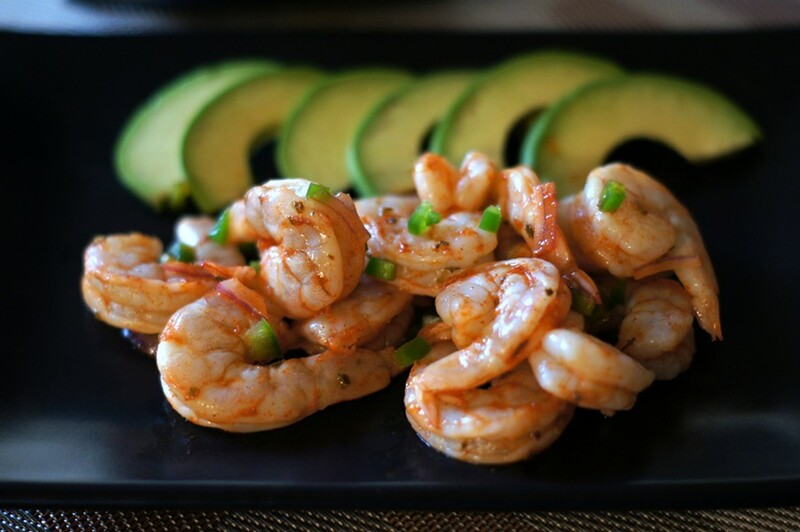 Place the shrimp in a clean glass or ceramic bowl and toss with the oregano, chile powder, jalapeno, salt and onion.